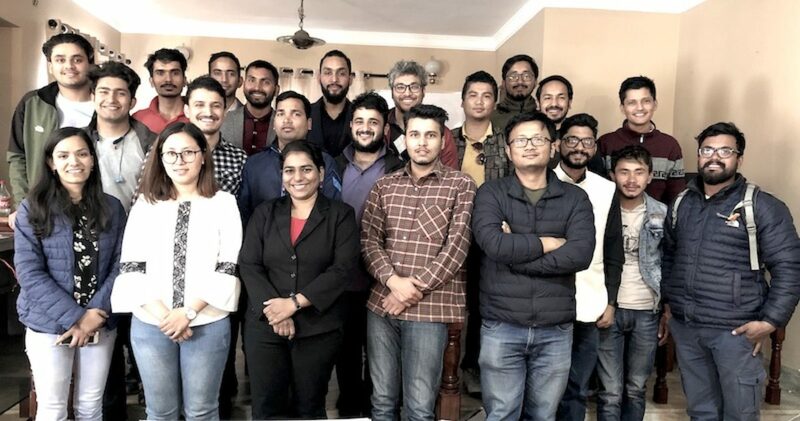 Nepal Flying Labs and Nepalese drone startups Dronepal and Airlift together with India Flying Labs organized the first-ever drone meetup on March 23, 2019 at Kathmandu. 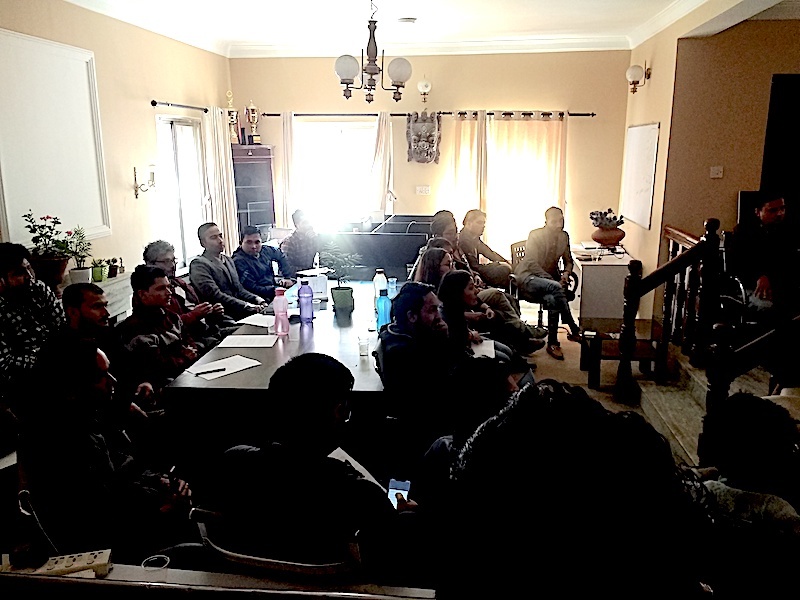 The initiative witnessed participation of 30 UAV enthusiasts all agreeing towards forming a formal community to advocate the drone facilitation and regulation in context of Nepal. After the Gorkha Earthquake in 2015, Nepal saw an unprecedented increase in the numbers of UAVs in the skies, including journalists and emergency responders ready to assist in the efforts of immediate rescue, relief, rehabilitation and reconstruction. This proliferation of drones in a such short time led to major concerns for policy makers who immediately formulated and enforced the “Flight Operation Directive, 2015”, that is, a set of concise yet very restrictive UAV policies requiring multiple governmental agencies’ approval for individual flights. While this was a formidable step towards addressing the overhaul of unchecked drones in the sky, it also contributed to overshadow the potential benefits of using this technology. The meetup primarily sought the establishment of an association of drone professionals, enthusiasts and advocates that could act as a platform to give voice to those representing the needs drones-for-good users, hence bridging the gap with policy makers. Furthermore, with an ever increasing trend of drone usage, the association could act as a go-to source for information, skills, knowledge and/or resources for operating drones (be it for business or personal purposes) while also contributing to a standardized market in terms of quality and pricing. 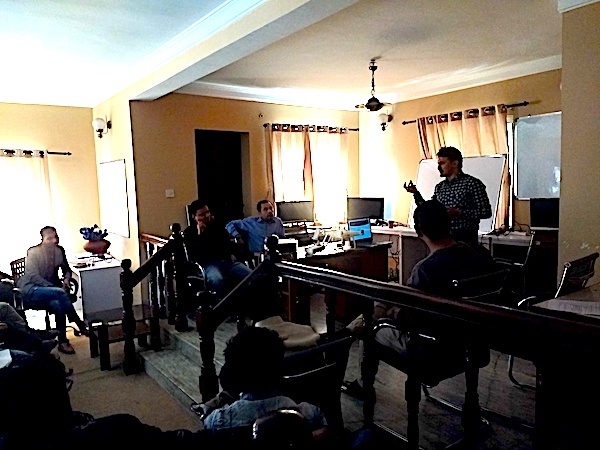 The meetup saw a broad diversity of participants, from drone entrepreneurs to hobbyists, media, engineers, healthcare professionals, experts from the Civil Aviation Authority and Nepal Police among others. Adarsha Bhusal, a drone-maker and student in his 11th grade, shared his challenging experience given the little help offered to youths with an interest innovation, and due to the lack of a specific platform with expertise in drones. Subhash Jha, Director at CAAN, explained how they have always welcomed the positive use of drones and facilitated the permission processes. He also mentioned that without a formal community of drone experts to talk to, they have had no reference for consultation. Some participants pointed out the need for a blanket permission for universities or collaborative workspaces in low-risk locations by virtue of the fact that long permissions processes could become a source of demotivation for young innovators. Lastly, Dr Ruchi Saxena from India Flying Labs and Caerobotics insisted that drones are needed in Nepal for bridging healthcare accessibility and improve the livelihoods of small scale farmers. The importance of a regional cooperation was also discussed for it can help governments come forward to help each other strengthen policies, use drones for national interests and develop effective strategies to implement a more democratic yet controlled use of drones. A one-door drone pilot certification training and licensing, a dedicated airspace for testing and research, ongoing advocacy and training for key stakeholders, ease of import of machines and spare parts, local manufacturing and maintenance units and project consulting: these will be the key focus areas of the association – areas that would definitively help the drone industry development in Nepal. Each and every voice could be clearly heard in the meetup, supporting the need of a formal association. The next step is the formation of a community that encompasses all drone enthusiasts and advocates before moving on with the creation of a legal identity. Besides thanking all of the participants for their active engagement, Nepal Flying Labs and India Flying Labs are keen to acknowledge the support of Dronepal and Airlift for providing refreshment and coordinating the logistics, and the kindness of NAXA Pvt. Ltd for hosting the event. Both Dronepal and Airlift were incubated through our Flying Labs’ business accelerator back in 2016 and now both companies have grown in size and resources.